Part 2 of our Social Media Glossary, helping you cut out the jargon and have a better understanding of all things social media. Embedded media– digital media displayed on another piece of content, outside of its native setting. Engagement– one of the most important parts of a post. Engagement is the interaction between people and brands on social media. Facebook live– this is a live videoing feature on Facebook which allows you to connect with followers and friends directly and in real time. Facebook messenger– an instant messaging service allowing Facebook users to chat directly, in groups or via video or calls. Filter– an effect applied to an image to alter it in some way e.g. black and white. GIF– acronym for Graphics Interchange Format, a moving sequence of images. Handle– your @ name on social media. Hashtag– a single word or phrase with the # symbol in front. Links topics together to make content more easily searchable. Header image– the image at the top of your social media page. Impressions– the number of times the ad or post has been displayed. Influencer– a social media user who has a large following and creates awareness about a trend, topic, company or product. Mention– the tagging of another user’s handle or account name in a social media message. Native Advertising– advertising that shows up in the flow of editorial content. 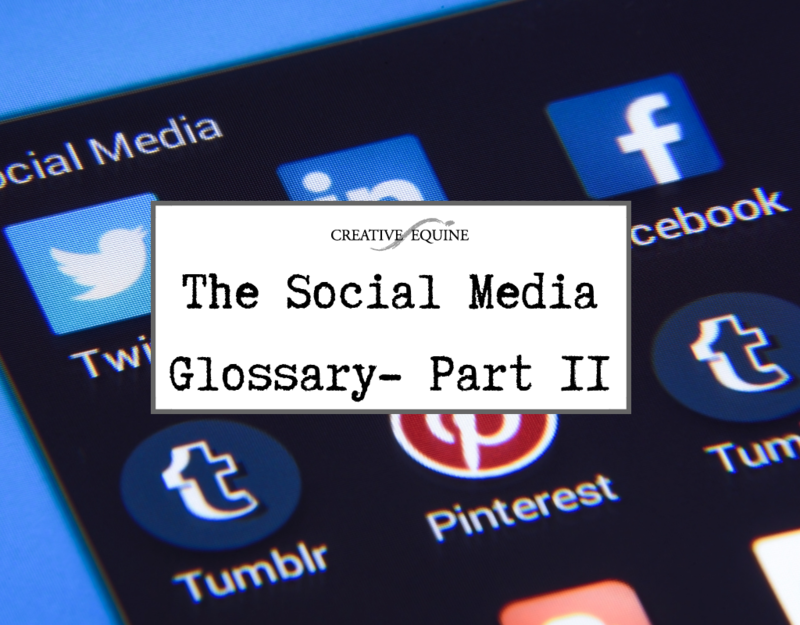 Make sure you check back soon for part 3 of our Social Media Glossary.